Use your own body as a site of knowledge and as a data processor. This technique helps to articulate, through physical movement, feelings or thought processes that the researcher is struggling to express verbally; doing this exercise will see you start paying attention to the knowledge in your body, and to the metaphors that might arise in the form of images and phrases. ‘Movement as Data’ was developed by Christy Zinn, with Grade 8 and 9 learners at the Centre of Science and Technology (COSAT school) in Khayelitsha, South Africa. Christy developed this technique as part of her master research, which explored how the organizational culture of a public school was embodied. “The research was developed very experimentally and ‘free movement’ (the practice of moving freely as an expression of how your body is feeling in the moment) was our main source of observational data. We played with various processes, from sharing stories of significant memories followed by ‘free movement’ exercises, to simply arriving at the session after a long day at school and going straight into ‘free movement’, only speaking about what came up in the exercise afterward. We also practiced ‘free movement’ to certain themes that were arising from the research about the organizational culture of the school, and we then imagined what the opposite movement would be like. Through this experimentation, and as we became more comfortable moving freely with one another, we started to notice two things: 1) when we do free movement, often a phrase or an image comes up for us while we are moving (a metaphor), and 2) when I imitate the free movement of another, the body is able to sense the meaning of a movement far better than by simply observing another person’s movement; images and phrases come up even if we were just repeating the movements of others, without knowing anything else about their movement (whether it was inspired by a feeling, etc.). We realized we could use our own body as processors of the data (the meaning-making of other’s movement) and we developed a way of ‘cross-pollinating’ data, through imitating the movements of others and speaking about the metaphors that would come up for each of us. What are we trying to understand about the community? The body is often neglected in the practice of research. Instead, the brain, rationality and the intellect are prioritized, even in so-called ‘embodied research’. This technique is a way of bringing the body back as a recognized site of knowledge. The free movement method privileges the body as both a source and interpreter of knowledge, allowing one to access alternative ways of knowing through articulation in physical movement. At what stage(s) of the research cycle is this method used? Make sure to have comfortable clothes in which you can move freely (avoid skirts/dresses/short shorts), and an open space. The size of the space needs to be ideally relational to the number of people – for example, if it’s a small group of people, a big space can disconnect the group, so it may be useful to cordon off a section of the space (with a line of chalk, for example). You will also need pen and papers to take notes. Crucial to the success of this technique is an element of trust and comfort among the people in the group. This might take more or less time, depending on the trust and comfort that is already in place before the sessions begin. It is helpful to take the time to break the assumption that movement has to be ‘impressive’ or ‘aesthetically beautiful’ in some way. The process of learning to trust the body as a resource of knowledge was something that came gradually over time by prioritizing safety and emphasizing play. It may take some warm up and trust-building work to get to a point where participants can give their body permission to express itself; all of this is okay. What is needed from the facilitator is love, a caring and understanding energy, and the willingness to work with the group as long as it is needed, and to adapt the technique according to the groups’ needs. Having said this, working with this technique can start from the very first session! Simply engaging in exercises that are playful, fun and friendly accelerate the process and help to generate a sense of safety. Ask participants to come together in a close-knit circle. It is useful to start the session with a simple meditation to bring awareness to your heart space. For example, you can invite participants to close their eyes and guide them to take a couple of deep breaths in and out. It is important to discuss 1) the reason for being here, and 2) safety and boundary-setting. Most likely different participants are attending the session for different reasons, and it’s useful for everyone to understand the expectations in the room. Talking about consent, about safety and how to maintain the safety of the space is really important before you start moving. It is good to set boundaries / a contract for space together, especially around respecting each person’s personal bubble, discussing what is appropriate, what isn’t. It is also important to ensure that participants understand that consent is something constantly negotiated, it is not a given, especially in the case of contact movement (movement that requires touching). We need to be aware that memory is stored in the body, and certain movements or bodily sensations can be triggering. As facilitator, there is no need to touch any of the participants, and if for some reason you feel compelled to touch a participant, ask permission first. If a certain group or pair exercise requires touching, ask the participant that you are making contact with, “do you mind if I touch you here?” or “is it okay if I hold your hand?” or “this exercise has a lot of body contact – is that okay with you?” During the discussion around safety, let participants know that if they willingly participate in the first exercise, that doesn’t mean that they can’t say they don’t want to participate in the second exercise. They can disengage at any time. Encourage the asking of permission amongst participants as well, to create a healthy environment of negotiated consent and open communication. Invite participants to introduce themselves in the form of a movement. You might find that in the beginning, this movement is more of a ‘shape’ but as the sessions go on, you can start to ask participants to introduce themselves and describe how they are doing in the form of a ‘movement sentence’. Engage in several cycles of movement followed by reflection through verbal dialogue. To start a movement exercise you might pick a theme in your research and ask participants to start moving inspired by the theme. You can ask people to work in pairs. First, encourage one partner to close their eyes and move, while the other partner simply observes. In a second phase, ask the witnessing partner to replicate the partner’s movement. Switch roles and repeat. It is useful here for the facilitator to prepare a question or explore a particular theme, depending on what stage of the research process you are in. If you are in the very initial stages of research, a useful starting point might be a memory of one of the participants in alignment with the research question. For example, in my case, I was exploring the embodiment of the organizational culture of a public high school. I asked one of the participants to tell us about her favorite memory of school last week. I then asked another participant to tell us about her worst memory of school last week. There are a number of ways you can start to develop free movement from the sharing of experiences, I will share three examples from my own experience, but feel free to be creative with this! Once when I asked a participant to share a memory, she threw her head back and rolled her eyes, and then lurched her body forward, stepping heavily forward. That movement in and of itself became a theme that we started to work with. In this case, we engaged in individual free movement, but starting from each person imitating that movement, and repeating that movement over and over again, allowing it to develop into a longer ‘movement sentence’ and free movement. Sometimes a memory triggers certain emotions. Placing the participants in pairs, I asked each participant to share with her partner her favourite/worst/etc. memory from the week before. The participant then had to show her partner how that memory made her feel (in a very physical way – for example, I felt heavy/I felt this feeling in my stomach/I wanted to run away/I felt like jumping up and down/my feet hurt, etc.) and then to express the feeling(s) of that memory through movement. The partner then had to try to follow the partner’s movement, not necessarily one in front of the other like a mirror, but rather facing the same way and imitating what she was doing. Each partner had a turn to share memory and imitate the movements of the other. If the memory involves group dynamics, you can also play the memory out, whereby other participants take on the role of the characters in the memory (with the person who shared the experience simply observing, and having another participant represent her). The participants can then act out the memory, deliberately paying attention to body language, body positioning in relation to the other, and body movement. In drawing out data from the body based on a particular memory/theme, ask participants to pay attention to any image or phrase that come up for them while they are doing free movement. In the case of partner work, partners can compare the images/phrases that came up for each of them while repeating that movement. Be patient with this exercise, allowing participants to move freely to a point where their movements are becoming repetitive in quality – this repetition is often where metaphor is emerging. During the exercise, the facilitator can ‘freeze’ the scene at a particular moment and ask questions to the participants around positioning/movement quality/ etc. (why do you have your back to her? / you seem far away from the rest of the group, why? / look at your stance, how does it make you feel? / how would the scene change if you were standing there instead/if you were standing differently/if you looked up instead of down? / etc). Bring the group back and ask each person to feedback on what they had just experienced from the previous exercise. Allow 10 to 15 minutes for each pair to reflect on what metaphors and images come up and then write them down. You might want to debrief in the pairs, and open the reflection to the whole group. Pay attention to common themes arising, and to ‘imagery’ emerging through the free movement that had taken place. From this discussion, allow the group to negotiate the next step – you might want to focus on a particular theme that seems to be shared by many members, or you might get the sense that one particular aspect of the exercise worked really well and you want to go deeper with it – ask the participants how they think that particular theme should be explored: how would you express that theme through free movement? Is there a particular memory that comes to mind when that theme is mentioned? Try to end the session with a chat about what participants felt worked and didn’t work in the session, and what points should be focused on in the next session. It is useful at this point to end off with another brief meditation aimed at closing up/protecting the body, bringing yourself back to the centre of your being. If possible, do the meditation in a circle, and have participants observe the ‘centre’ of the group, instilling an awareness of their connectedness with one another and their/ your collective memory to which everyone contributes. What are the benefits of using this technique? This technique is based on the assumption that the body holds knowledge. When we don’t use the body, we deny ourselves the opportunity to tap into the wealth of our own knowledge and possibilities. This technique also has a large element of playfulness, which helps to establish a sense of comfort and safety among the group. What are the challenges of using this technique? The beauty of such a process is that, the more you do it, and the more you give your body the space it needs to express itself, the more connected you will become with your body, and the easier it will get to trust your body’s expression of your knowledge. This will help you become a more intuitive researcher (aware of your senses in context). To expand on this, when I started working with school learners using the body, they felt 1) self-conscious, and 2) a sense of pressure to do it ‘right,’ as if there was a ‘right’ way of moving, or as if the purpose was to produce something aesthetically beautiful. Most of the learners simply didn’t know how to even begin moving. We needed to spend a lot of time in the beginning doing fun exercises such as cartwheels, dancing, games to get us all comfortable with moving in front of one another. This technique was used during the fieldwork stage, as a means of collecting data. It was also used by me as a way to process theory, during the writing of my thesis: It was a real struggle to have done research in an extremely embodied way, and then return to the process of, literaly, writing a thesis – an exercise restricted to my brain, my eyes, and the tips of my fingers typing on a computer. I found the process very ‘disembodied’ and in contradiction to the process with which I had chosen to undertake this research from the beginning. As a way of reconciling this, I found it helpful to process academic articles through the body as well. There are times when you are reading one article after the next, and there is something that you are feeling, it’s at the tip of your tongue but you cannot articulate it, or you feel that there is something missing, or you can feel that one body of literature connects with another, but you cannot quite articulate the connection. I would get up, and physically move to these tensions or moments of grappling and feel what comes up for me. Sometimes a phrase comes to mind while you are moving, or an image, or even an emotion, and I keep moving to it, allowing my body to process the tension or ideological challenge, rather than my brain. While you’re moving, pay attention to the quality of the movements (are your movements light or heavy, are they circular or linear, clear or distorted, sudden or sustained, etc.?). The description of these qualities can help you in the write up process to describe the missing piece/the connection between two literatures/the aspect of the literature that you want to speak to. Using the technique during the literature review and write up phase of a research process: It is useful to start and writing/reading with a simple meditation to bring your awareness to your heart space. Be deliberate about taking your awareness from the space behind your eyes (your brain), down – past the back of your head, your mouth, your jaw, your neck and towards your heart, where you can allow it to rest. From there, when you find yourself grappling with a particular aspect of the literature, and you find it’s something you just can’t quite articulate, allow that aspect to inspire free movement. Give yourself some space, and make sure you are in a place where you feel comfortable moving on your own, and simply move. Notice any phrases or images or emotions that come up for you (after moving, it is useful to write these down), and keep moving to that, allowing the moving to progress into different qualities if it needs to: simply hand the grappling over to your body to process. Once you find your movements becoming repetitive for some time, and you feel that you have grasped what you can from the body, feel free to bring the movement to an end, and immediately write down everything that emerged for you. Go back to the literature problem with this new insight, and hopefully drawing from the body would have clarified/assisted with your processing of the literature. Make the process as participative as possible. When members of the group are struggling with the idea of doing free movement (something that can be intimidating when there isn’t a sense of established trust amongst the group, yet), open up the floor for suggestions on how to explore a particular theme, memory, or situation in an embodied way. 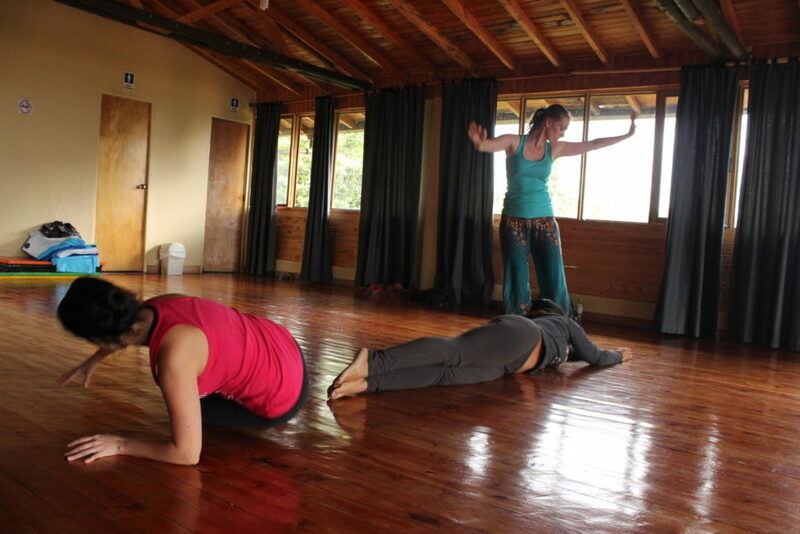 This can even be an exercise of its own, where the group comes up with its own techniques for engaging with the body. Perhaps an important note as well is to make clear that movement cannot be done ‘wrong’. Sometimes we try to engage our body in the same way we engage our brains: in a hurry, and with pressure to perform. Give yourself enough time to bring your awareness to your heart space, breath, even sway, to bring yourself to the present moment, before inviting your body to process the aspect of your research you are needing to grapple with. Recrear goes grassroots all the way. That’s why we need your help to meet our basic operational costs and to support our growing pool of volunteers around the world. Who are the people we go to in times of need? What’s ‘the system’ to me?